Love; one word four letters, and a very common one, indeed. When we want to replace the word ‘love’, then what word could that be? Would it be ‘care’? Would it be ‘like’? Would it be ‘need’? Well that might work. Now try to put ourselves in as the other person, would we want to hear ‘I care for you’, ‘I like you’, or ‘I need you’ coming out from the person we love? Well I don’t think so. ‘I love you’; three words, and a very common sentence, indeed, yet there is no other sentence that is more powerful than that. Love, a very common word, indeed, yet there is no other word that is more powerful than that. It’s alright to be common, when one common word is more than enough to say it all. Never hesitate to use the word ‘love’ to express the feeling, because that one common word could mean the whole world for someone; It’s Okay, This Is Love. It’s getting near to the end of this month of love, and now I will present you a song titled “Love Is Such A Common Word (사랑이란 말은 너무 너무 흔해)”. Performed by Im Byung Soo, written and composed by Lee Jang Hee, it’s a Korean classic that was first released in 1985 as a part of Im’s second studio album. The pop song with upbeat tempo was a megahit. 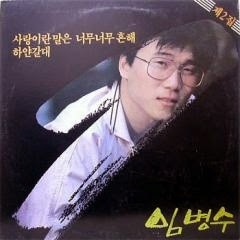 In order to get this song, Im personally sought out Lee in America and asked him to write it. The tempo is exceptionally fast and goes well with his trembling vocals and fancy old-style rap. 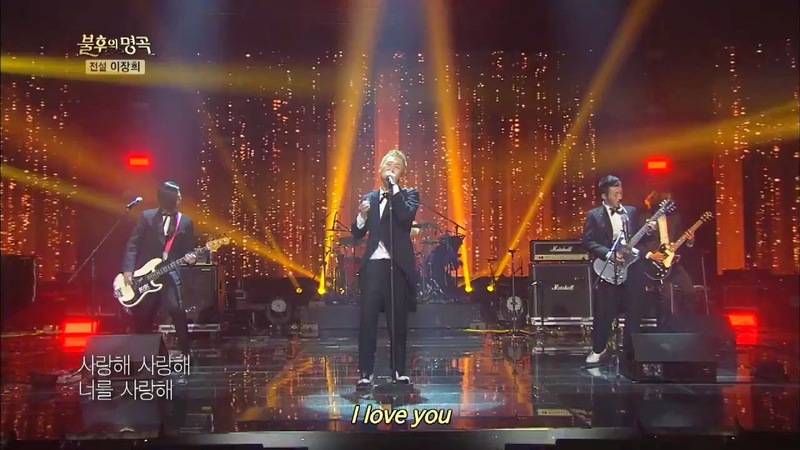 Up to this date, “Love Is Such A Common Word (사랑이란 말은 너무 너무 흔해)” had been performed twice in the Korean entertainment music program, “Immortal Songs 2: Singing the Legend”. The first one was on episode 33, the “Duet with Legends” special, when this song was performed by male balladeer Huh Gak, featuring Im Byung Soo himself. It was broadcasted by KBS television station on January 14th 2012, and later by KBS World channel on February 4th 2012. 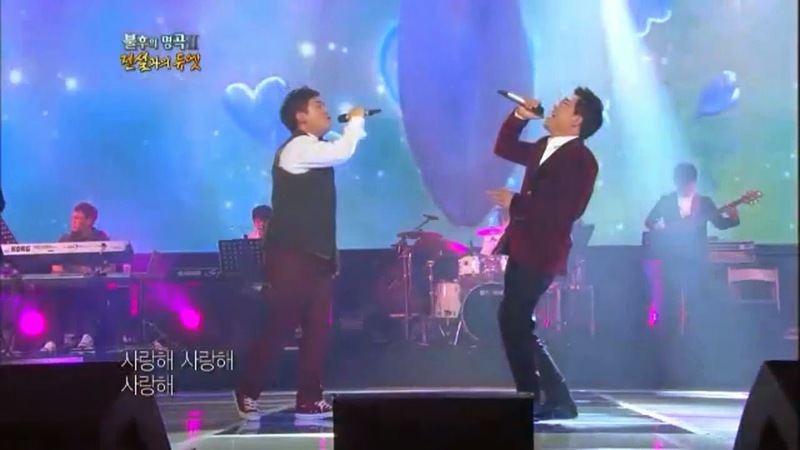 Huh Gak (left) and Im Byung Soo (right) performed "Love Is Such A Common Word" in "Immortal Songs 2"
No Brain performed "Love Is Such A Common Word" in "Immortal Songs 2"
Three years later after its first appearance on “Immortal Songs 2”, “Love Is Such A Common Word (사랑이란 말은 너무 너무 흔해)” was performed by Korean punk rock band, No Brain, during the 183rd episode, when Lee Jang Hee appeared as the legend. The first part of two-episodes Lee Jang Hee special was broadcasted on January 24th 2015 by KBS television station, and later on February 14th 2015 by KBS World channel. Huh Gak and Im Byung Soo performed the song with a pop ballad arrangement, which was mesmerizing, especially with their amazing vocal harmony. Meanwhile, No Brain’s punk rock ballad rendition of “Love Is Such A Common Word (사랑이란 말은 너무 너무 흔해)” was tearing down the stage; it’s over the top! They showed the quintessence of Korean punk rock. Those joyful men surely knew how to have fun, and their performance just got rid of all the stress, indeed, since the original song itself was very lovingly mood-boosting.